If you’ve played Telltale’s The Walking Dead, I think you’d sort of know what you’re in for here. This plays just like that, it takes the adventure game format, and instead of making it about ‘item a’ in ‘slot b’ style puzzles, it gives more of a focus on narrative choices, mostly through dialogue. Often at times you’re given a timer, and forced to make a decision that doesn’t quite have a clear cut right or wrong answer. As much as there are similarities, this does not feel the same. For a start it’s a much more colourful game, set during the 80s, it makes use of a bright pinks and light blues, but it’s shadowy night-time setting gives a gritty noir tone to the visuals. The pacing feels slower, it doesn’t have the constant sense of dread that came from The Walking Dead’s apocalyptic setting. Once I had gotten quite into the game, I stopped doing internal comparisons, and started appreciating the game for it’s own aspects. It’s based on the comic book Fables, and has a murder mystery, peppered with aspects of class tension, all presented through fairy tale characters in a modern setting, known in-game as ‘fables’. Most of the non-human looking ones have bought ‘glamours’ a spell which allows them to appear human, however it costs money. 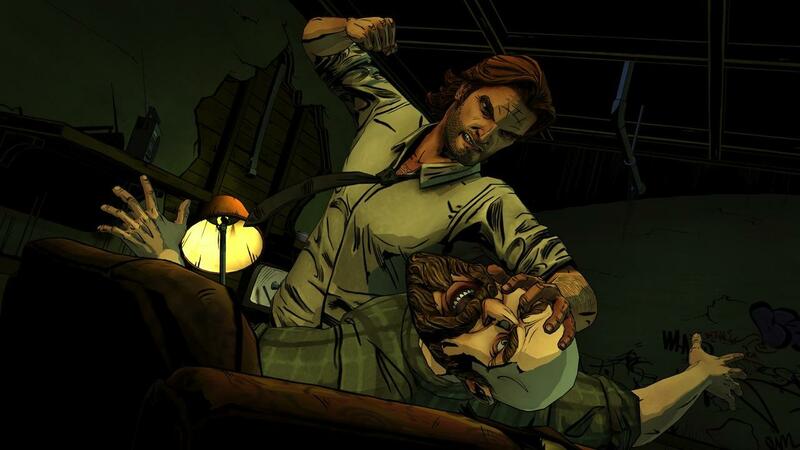 And Telltale have managed to make good characters out of them. 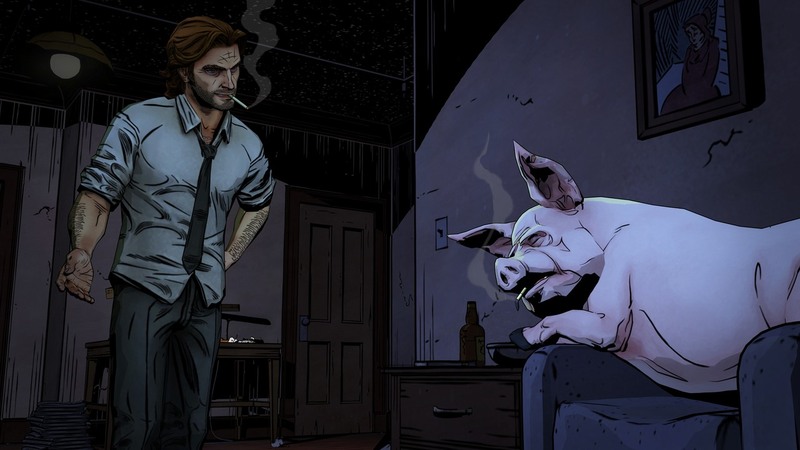 The Big Bad Wolf reformed and is now Bigby Wolf, sheriff of Fabletown, New York. Most fables see him as too strict and controlling, how he sees himself is up to you through the dialogue choices. Mr Toad has gone from the lavishness of Toad Hall to a cheap apartment where he can’t even afford a glamour to make himself look human, and is frustrated by it. Then there is an interrogation scene, which you look around a crime scene in someone’s house, and ask them questions. Picking the right dialogue choices to catch them off guard is really cool, I wouldn’t want to spoil too much of it, but I think it’s experiencing for yourself. But it does have it’s drawbacks, towards the beginning a few of the fight scenes feel like they lack impact, and are heavily dependant on timed button prompts. It’s a shame because at times those sorts of button prompts were used to such good effect in the Walking Dead. Also if you’re the impatient sort, you might have to tolerate some load times, but nothing crazy significant. For now though this is a good first start, and has made me hopeful for future episodes. 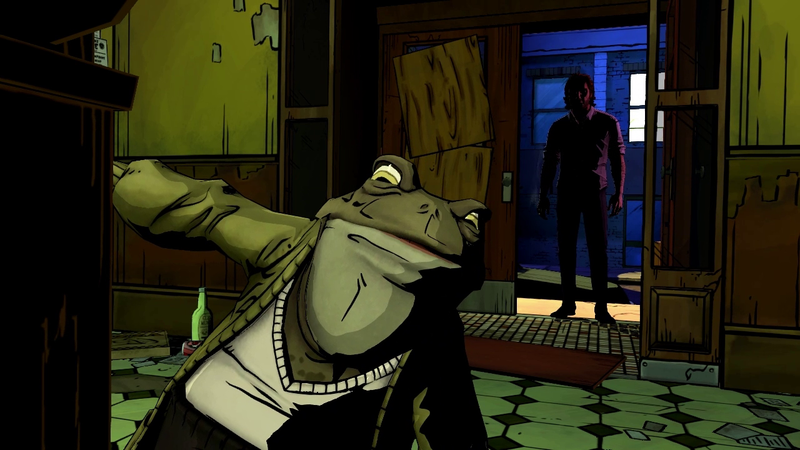 The Wolf Among Us Episode 1 is available on XBLA, PSN and Steam. Steam requires you to buy all episodes at once, a season pass is available for XBLA and PSN to gain every episode when they are released.